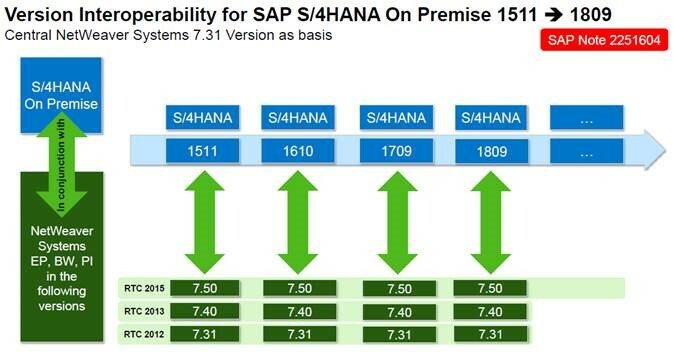 What you need to know before moving to SAP S4/HANA? Every customer is unique and hence has different requirements. Read this blog to learn how we help our clients in their move to SAP S/4HANA. As the Highway to S/4HANA offer lead for Italy at the Capgemini SAP Center of Excellence (CoE), I’ve been involved in close to 100 assessments, POCs, and go-lives on SAP S/4HANA. The value, the timing, the path to implementation, and possibly the estimated costs for a move to S/4HANA are no secret today. SAP, with its partners, including Capgemini, is steadfastly resolved in supporting customers in their move to S/4HANA. So, what’s the secret? I believe that customers need explicit support in identifying and realizing the business impacts and the risk mitigation strategy during the initial SAP S/4HANA switch. To make this more concrete, based on my SAP S/4HANA lessons learned, I would like to share a short summary of three technical points in this blog. When it comes to custom objects, almost every customer discussion opens with the above statement. And frankly, yes, it’s true. Each customer is different, each customer has a unique and large number of custom objects on their SAP ECC systems. But, in all honesty, it’s not the number of custom objects and interfaces on the system that matters. It is more important to know how many objects are really used and how many used objects impact SAP S/4HANA. SAP Readiness Check, in tandem with, Capgemini’s in-house Readiness Check tool, highlights the number of user objects that cause an impact and describes what we need to do in order to have the same custom and standard functionalities up and running on SAP S/4HANA with zero delta training for end users. For example, you know the material code has been extended from 18 to 40 digits with SAP S/4HANA. But, if you continue using the same codification without extension and reengineering, the effect on the custom code is zero, resulting in a “false positive” impact. With the Capgemini Readiness Check, we’ve incorporated several such gate checkers. Be aware that a lot of custom code adjustments can be anticipated in SAP ECC simply because adjustments aren’t related to SAP S/4HANA but rather to the best practices on ABAP developments, which have been valid since the R/3 release. I’ve had a discussion with several clients who believe the above angle when it comes to Fiori. This is a myth for any action upfront. Fiori UI today is not the only one user interface to navigate in SAP S/4HANA OP. Fiori is an alternative providing a new way of working. Today only few Fiori apps are mandatory when moving from ECC to SAP S/4HANA. For all the rest, the same SAP-GUI can be availed and you can evaluate the opportunity to introduce Fiori in wave-1 or to postpone Fiori in future waves. If you are evaluating S/4HANA Cloud MTE, public cloud, the impact is different – but that again, it is not limited only to user-interfaces. This is a tricky one because it can go either way. SAP Satellite systems up to SAP NetWeaver 7.31 and SAP products valid in the future versus end-of-maintenance have no impact on SAP Satellite. Capgemini recommends using SAP Interoperability Matrix, and SAP Product Availability Matrix (PAM) to check this in order to be sure. This is certainly far from a complete summary. It’s a starting point for our conversation on working together around different aspects or specific cases to realize that SAP S/4HANA can be introduced in different ways and different waves. I hope you’ll agree that the best value from SAP S/4HANA can be realized only if you use the full potential of the new functionalities and all the new topics based on the new ERP. At the Capgemini SAP CoE, we strongly believe in not wanting any of our customers to use SAP S/4HANA as a previous ERP. We realize it’s usually not easy to start 100% on day one, but with our tools, accelerators, questionnaires, assessments, and assets from our Highway to the S/4HANA offering, we help you surf the SAP S/4HANA waves. At the CoE, we specialize in helping you decide how to introduce innovation with SAP S/4HANA. We cover the entire breadth – from a deep impact, typically suggested with the greenfield implementation approach, all the way to the progressive innovations typically suggested in conversion approach. To learn more about our accelerators, methodologies, innovations, or the Highway to S/4HANA offering, feel free to reach out to me.